Before you get any of the PRP treatments listed above, it is a good idea to take some time to understand what the process actually involves and what it entails. Successful platelet rich plasma therapy requires a proper consultation to determine the chances of success that a person stands to gain from the treatment. This solution has proven to be very effective and has helped a large number of people. The best part is that a PRP treatment is an FDA-approved process and is conducted under clinical conditions in order to ensure that the whole process is as hygienic as possible. 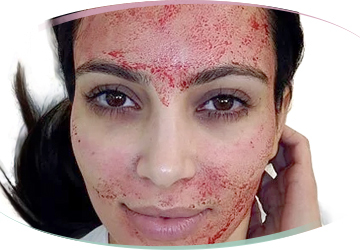 You can find out more about the popular Vampire Facial PRP Treatment by reading our blog. PRP Hair Treatment - Get your confidence back with a full, healthy head of hair. No transplants required. This FDA-approved PRP treatment for hair loss naturally restores your follicles to improve the thickness, strength, and condition of each strand. Perfect for both men and women. The O Shot - If you want stronger, more frequent orgasms or you’re dealing with post-partum incontinence, kegel exercises don’t always cut it. Enter the O-Shot. All it takes is one easy, non-surgical PRP injection to see improvements. Whether you’re bouncing back from pregnancy or just want to maximize your pleasure, this a complete vaginal revitalization treatment for all ages. Vampire Facial - Reveal skin that’s so bouncy, clear, and radiant, you’ll want to go makeup-free. This treatment combines platelet-rich plasma with microneedling for global skin rejuvenation. Naturally smooths away blemishes, scars, pores, fine lines & wrinkles and brings back that youthful glow. Vampire Facelift - Take years off your appearance with this incredible two-part anti-aging & contouring treatment. Platelet-rich plasma injections team up with dermal fillers to lift, sculpt, smooth, and plump, leaving you with beautifully renewed skin. Transforms like a facelift, minus the incisions and downtime.